Sebastian Hirsch, a historian, blogger and online monetization expert, is announcing the release of “Selling Your Service - Your Expertise Turned Into Dollars”. 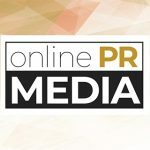 Online PR News – 02-November-2015 – 212 El Dorado, Fresno, CA 93632 – Sebastian Hirsch is announcing the release of a new book titled, “Selling Your Service - Your Expertise Turned Into Dollars,” an informative and entertaining look at the importance of the relationship between creativity and entrepreneurship. The book not only details the intricacies of this relationship, but it also explains how burgeoning entrepreneurs can leverage their specific expertise to create a new business and turn a sizable profit. As a historian whose love for the exchange of ideas led to a career as a professional blogger, it was just a matter of time before Hirsch, who sometimes goes by “Hugo,” authored a book detailing his unique perspective on the needless complexities so often associated with entrepreneurship. In simple and straightforward terms, Hirsch’s book ensures that readers come away with a nuanced approach for founding a business, creating a product or service, or leveraging a specific area of professional expertise. Hirsch’s book is not limited to this dichotomy in personality traits among entrepreneurs, as there are sections that delineate the specific strategies for dealing with the common issues associated with bringing a product or service to market. According to Hirsch, this detailed text is appropriate for entrepreneurs in any industry and is useful for those with varying levels of prior entrepreneurial experience. Sebastian Hirsch, an experienced blogger, historian and author, has devoted much of his professional career to researching the common elements of entrepreneurial success. Hirsch is the curator of one of the most detailed informational resources available to aspiring bloggers and has written extensively on a number of unique subjects, most notably including a variety of subjects relating to both blogging and entrepreneurship.